Look out – the humble nacho just got a little more fancy! 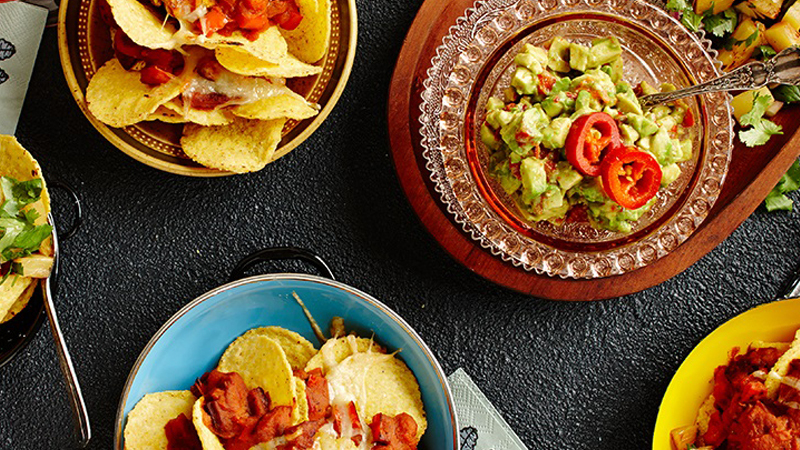 In this Mexican recipe from Old El Paso™ Crunchy Nacho Chips and Nacho Salsa are layered with sweet & tangy Caramelised Pineapple Salsa and spicy Red Chili Guacamole and of course topped with oozing melted cheese. This Mexican snack is sure to impress! Heat a little oil in a frying pan over medium heat. Add capsicum and chorizo, cook for 7 – 10 minutes or until capsicum is charred and chorizo is crispy. Remove from heat and stir in both sachets of Nacho Salsa. 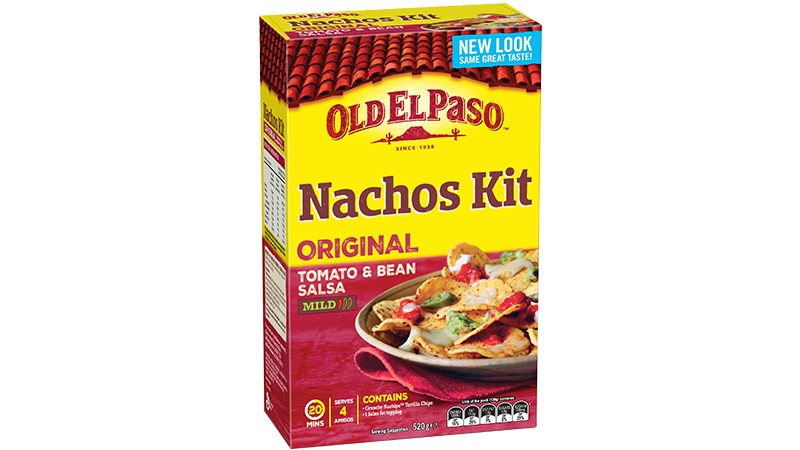 Prepare nachos in a large ovenproof dish or individual dishes. Layer half the corn chips in the dishes then spoon over half the chorizo salsa topping, then scatter over half the cheese. Repeat layering. Bake for 10 – 12 minutes or until cheese melts. For the Caramelised Pineapple Salsa: heat a frying pan over high heat. Spray pineapple lightly with olive oil and cook on both sides until browned. Finely chop pineapple and combine with red onion, coriander and lime juice. For the Red Chili Guacamole: mash the avocado and stir through the red jalapenos. Serve the baked Nachos, caramelised pineapple salsa and red chili guacamole to the table and dig in!